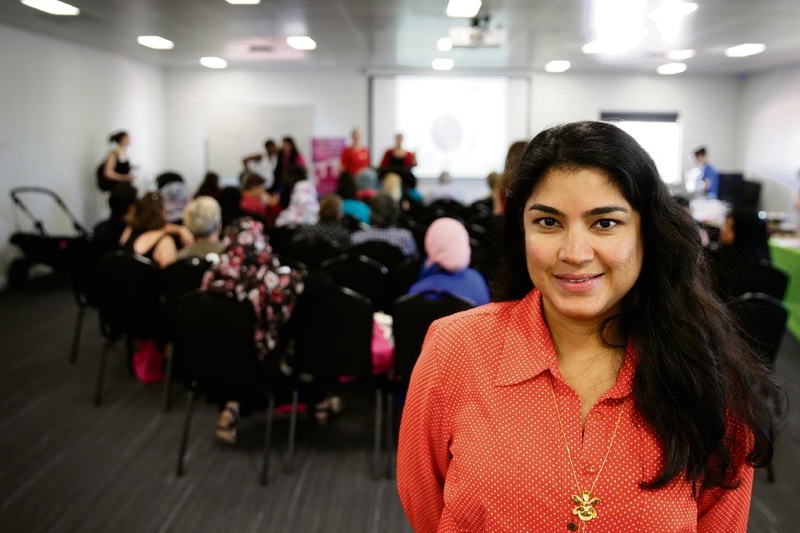 A RECENT rise in domestic violence cases at Ishar Multicultural Women’s Centre in Mirrabooka has increased the need for resources to help people in “crisis situations”, says chief executive Andrea Creado. Ishar Multicultural Women’s Centre provides primary health services and support programs for women of all ages and cultural backgrounds. The centre had been at capacity for six months with clients having to wait up to eight weeks for an appointment. Ms Creado said the centre was “frustrated” because it did not receive enough funding from Federal and State governments. “What we see now is an increase in both the numbers and the complexity of cases that are being presented,” she said. Ms Creado said the goal for Ishar was to establish sustainability and continue to provide no or low cost services to women from different backgrounds. Health services manager Jan Ryan, who is a registered nurse, said she had seen up to seven new clients during one week who had domestic violence issues. “We are having increased referrals from the police and walk-in women who are just coming in on their own… it has been very noticeable in the last month,” she said. “We do have a small amount of funding from the crime prevention funds through the Police department’s domestic violence support group, which is great. Ms Ryan said the centre could not provide practical assistance but tried to place the women in their counselling program. Mirrabooka MLA Janine Freeman said many newly arrived refugees would seek support from Ishar. “The impacts on physical and emotional health are then combined with the stress of seeking to settle, become competent in English, gain employment and schooling for their children,” she said.